WOW!! Times Square in all its vintage glory! 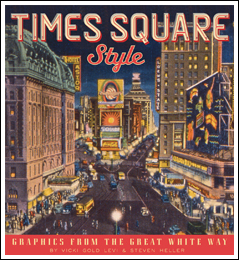 See the amazing ads, the dizzying running light bulbs, the vibrant neon signs, the swells on their way to the theater, the high life and the low life, the spectacle of the crossroads of New York. It may be tame now, but back in the day… 144 pages, TP, 8” X 9”.